Here are my thoughts on the Chocolate Bar palette by Too Faced cosmetics as well as some swatches. Let me know in the comments below what you think of this palette. 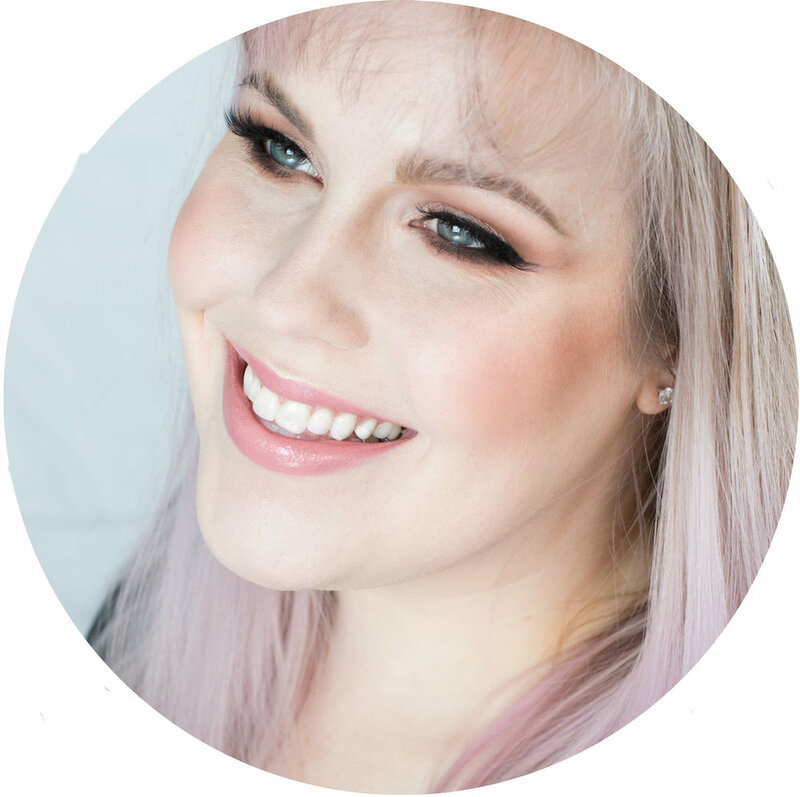 I also have two tutorials one for a smokey eye and one for a simple day time eye using this tutorial if you'd like to see the palette in action. - Slight shimmer, dark brown with a touch of green. - Matte, pale cream. I love this as a base shadow shade. - matte, light neutral brown. Great transit on shade. - micro shimmer silver, dark purple. I am not a huge fan of micro glitter, but I get little fall out with this color and the purple base is lovely. - Matte, dark brown with a touch of green. This may be my favorite color of the palette, it looks great as a smokey eye or as a crease shade. I love that is leans green, not just brown as it makes it more interesting. - Matte, light muted orange. This color would be great as a transition shade on those with warmer skintones, I also like it as a lid shade if you want a softer look. Personally I don't grab for this shade often. - Shimmer, soft warm pink. This is very pretty on the lid, it has a nice texture but to really show it needs a primer. - Matte, cool midtone brown. Great as a transition color or a crease color. - Matte, cool pastel pink. - silver micro glitter, warm violet. Again, not a fan of micro glitter, but the glitter doesn't seem to go everywhere. It's fun to pop in the center of the lid. - Shimmer, midtone burgundy brown. This color is very nice to have in the palette as it is easy to wear, but has some color to it. This color I do wish could pack on better to show more color on the lid. - shimmer, midtone brown, warm. This color is a basic brown, a touch harder than the other shades. - Shimmer, gold. I use this shadow a lot from this palette as I am a fan of golds, however it isn't as bright as Urban Decau Half Baked, not as gold as Lorac Gold. - shimmer, brown,cool. Very similar to Hazelnut, but a hint cooler and darker. This shade is the hardest of all the shadows and it hard to pick up with a brush, therefore making it hard to get good pigmentation on the lid. - Matte with slight shimmer, burgundy. This color is gorgeous, and would look great on a lot of colorings, especially those with green eyes. It is a matte, but does have a touch of simmer when you look at it in the light. 14 of the shadows are .95g and two are 2.8g with a total weight of 18.9g, so it's a pretty good amount of product for $49. The case is also sturdy and not cardboard, so that's another bonus. The packaging is sturdy and not cardboard, which is really nice since it doesn't feel flimsy and it's easy to travel with. I have the old packaging which is bulky, so I am not a fan of that. Also it is "cutesy" and looks like a candy bar, I prefer sleeker and simplified packaging. The packaging is sturdy, the color selection is top notch, texture and pigmentation is good, and it's reasonable priced. I use colored shadows frequently & I also like that I can use these anywhere on the face. I also love the texture. Overall, I like this palette and I use it frequently, it has a range of colors and finishes so you can to a lot of different looks with one palette. It also smells like chocolate which I like, however this may be a con for you if you don't enjoy chocolate. The packaging s study, but also kitschy which I am not a fan. I feel like this is a good starting palette, if you don't have a big collection of eyeshadows or if you need something to travel with since you have so many options within one palette.